Professor James Hopkins, with the assistance of IPLP students, is representing the Traditional Authorities of the Rio Yaqui Pueblos, the governing body for all eight Rio Yaqui Pueblos in the Rio Yaqui Valley in Sonora, Mexico on a petition before the Inter-American Commission on Human Rights (IACHR). Clinic students actively assist Professor Hopkins in his role as counsel to the Traditional Authorities of the Rio Yaqui Pueblos for their IACHR petition and related efforts to protect and support Yaqui traditional lands, water rights, community public health, and economic development. Professor Hopkins is actively engaged before several international human rights bodies to protect Rio Yaqui traditional lands, promote culturally appropriate economic development, and exert pressure on the government to remediate wide-spread environmental damage. In partnership with the Pascua Yaqui Tribe, U.S. Fish and Wildlife, and UNISON, Sonora, students are actively engaged in the recovery of indigenous freshwater fish species in the Rio Yaqui basin including the Yaqui catfish. This partnership is supporting community members in the Rio Yaqui Pueblos to establish sustainable aquaculture and provide a much needed source of economic development. The Traditional Authorities of the Rio Yaqui Pueblos filed a petition to the IACHR in January 2011. The Traditional Authorities are requesting precautionary measures in the face of urgent, immediate, and irreparable harms to the Rio Yaqui people, their lands, resources, and access to surface water rights on the Rio Yaqui caused by Mexico's continued agri-chemical practices. The alleged resulting Yaqui infant deaths are in violation of the Rio Yaqui peoples' fundamental right to life. Additionally, the Mexican government's support for massive resource development projects, including the diversion of the Rio Yaqui River to the City of Hermosillo, will deny the future existence of the Rio Yaqui people in the Rio Yaqui Valley. On October 1, 2015, the IACHR made a definitive admissibility ruling, meaning the petition can be decided on its merits. Among other findings, the Commission cited Mexico's failure to meet binding obligations with respect to the human rights protections the Yaqui Pueblos are entitled to under the American Convention on Human Rights and the American Declaration on the Rights and Duties of Man. Most notably, the Commission ruled that in light of the deteriorating environmental and public health situation in the Yaqui traditional territory, Mexico is obligated, pursuant to Article 26 of the American Convention, to make every effort at progressive development on behalf of the Traditional Authorities and to further environmental remediation of their traditional lands, resources, and water. As the case progresses Professor Hopkins continues to advocate for the government to comply with their obligations under domestic and international law. In order to promote our mission to protect and promote indigenous peoples’ human rights, IPLP provides case archives of our advocacy projects to assist legal practitioners and advocates. 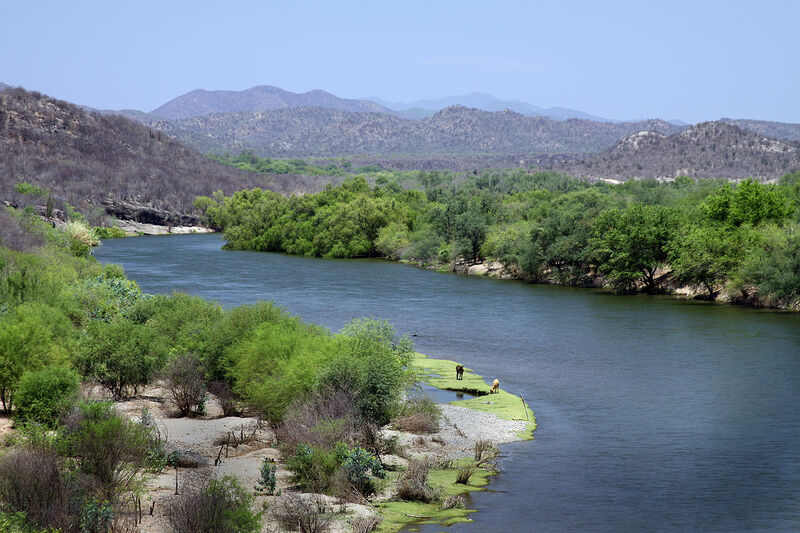 Here are resources related to the petition before the Inter-American Commission on Human Rights (IACHR) to protect and promote the human rights of the Rio Yaqui Pueblos of Sonora, Mexico.